The Islamabad Electric Supply Company cut off power supply to Khan’s Bani Gala residence. An official of the company said that Khan had three power connections, two for the main residence and a third for a tube-well. Geo reported that the amount of non-paid bills was over Rs 1,00,000. Earlier, the company had sent a notice warning of cutting the supply if the bills were not cleared. Khan, who heads the Pakistan Tehreek-i-Insaf, had announced in August that he would stop paying utility bills and taxes as part of his protests to dislodge Prime Minister Nawaz Sharif from office. He had cited the failure of Nawaz Sharif government to curb rampant power theft despite raising tariffs by 80 per cent in a year. Khan had paid electricity bills of August and was criticised by none other than federal minister for power Khawaja Asif, who said the PTI chief was misguiding people as he had paid his bills while asking others not to pay. It enraged Khan who days later, on September 20, set alight his electricity bills in front of the parliament house, where he was staging a sit-in against the government. 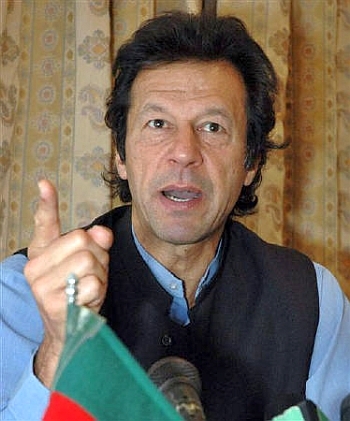 Imran gave a call for civil disobedience on August 18 and asked people not to pay taxes and utility bills to force the government accept his party’s demands.